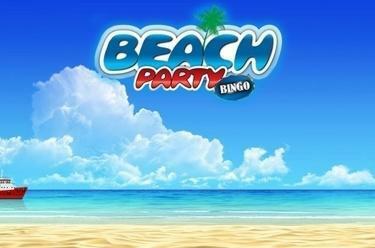 Play Beach Party Bingo online for free now! Fancy a day on the beach under the palm trees and some spending money to boot? Then play a few rounds of Beach Party Bingo! Play classic bingo at the dream beach and be spoiled with Twists with every winning combination! With a ‘bonus’ - or ‘Bingo’ - winning pattern you also get to enjoy a valuable instant win! With ‘Latin Bingo’ you get to experience the entertaining numbers slot in a South American slot machine variant. The aim of the game is to land the specified winning pattern across up to 4 bingo cards. After placing your bet, 30 bingo balls are called, whose numbers are marked with an ‘X’ in accordance with your bingo cards - you win if the markers form a complete line! With further bets you can then call up to 10 further bingo balls in order to further bolster your winnings. If you have all of the numbers on a bingo card (‘Bingo’) or have achieved the ‘Bonus’ pattern, the Beach Party Bingo Bonus Game starts with further chances to win! Simply spin the parasol and sit back and relax - you get an instant win as soon as the parasol stops moving.